The first part of our story emphasized continuity: Over several decades, William F. Ryan Sr. built a produce business that his son, daughter-in-law, and grandchildren have carried on to this day. The second part is about change, the events that prompted the business to move from Albany’s South End to Colonie. 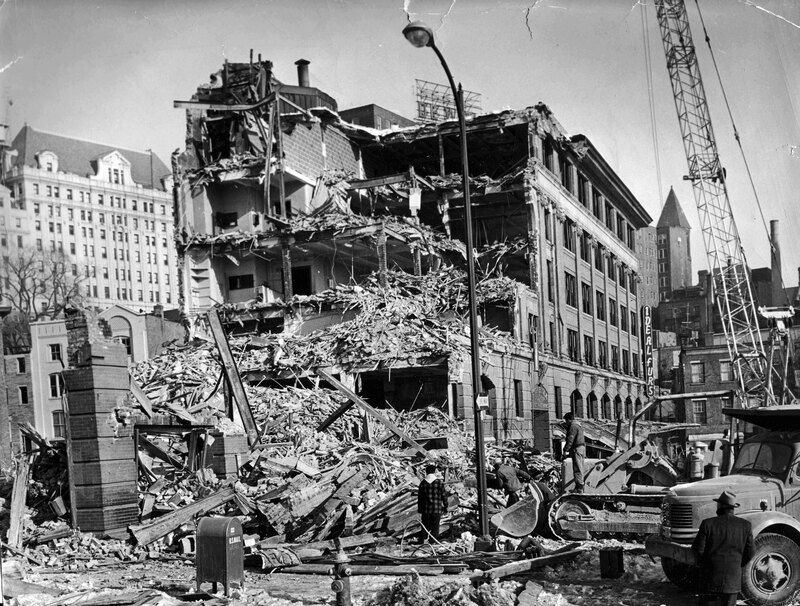 Demolition of the Lyon Block, February 1964. Used by permission of the Times Union. On March 27, 1962, the State of New York seized the Lyon Block, and with it the Ryans’ store, as part of South Mall redevelopment area. By that time, William F. Ryan Sr. had been dead for almost three years, and William F. Ryan Jr. (“Little Willie”) and his wife Mary Nuciforo were running the business. 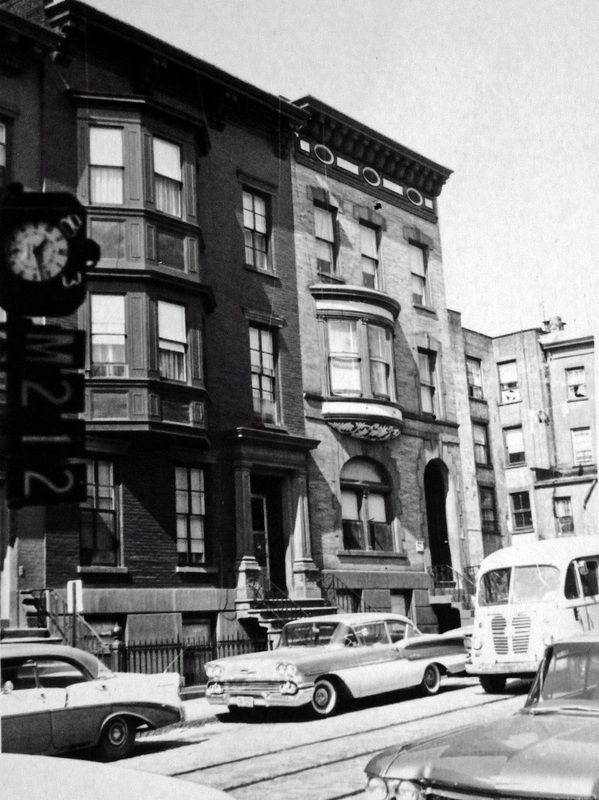 The Nuciforo family home, 162 Hamilton St., 1962. Albany Institute. Displacement was a hardship not just for the Ryans but also for Mary’s seventy-year-old widowed father. Frank Nuciforo Sr. was an Italian immigrant, naturalized during the First World War, a few days after enlisting in the U.S. Army. (Less than a month later, the Army shipped him overseas with a medical replacement unit.) Since the 1930s, Frank had lived in the same Hamilton St. house, where he and his wife Adelaide had raised their two children. It was a short walk from the house to his job at the DeWitt Clinton Hotel. Mary remembers the mahogany staircase, wrought-iron railings, and beautiful backyard of her childhood home. Being forced to leave, she tells us, broke her father’s heart. Ad announcing the move to Herkimer St., December 1963. Used by permission of the Times Union. The Ryans found a new “Home of the Irish Potato,” not too far from the old. They set up shop in an old bottling factory on Herkimer St., between Green and Franklin—part of the area now designated as the Pastures Historic District. The new building was an old two-story, wood-frame house modified by a much larger, flat-roofed concrete-block addition. The sales room and business office were housed in the older structure, the garage and walk-in storage coolers in the addition. Where the Herkimer St. store once stood. 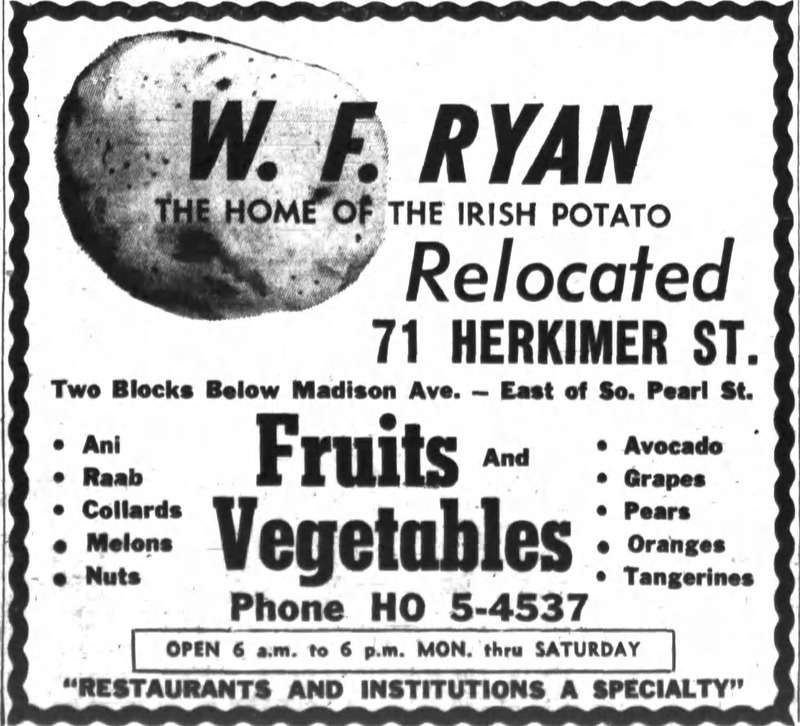 W. F. Ryan Co. would remain on Herkimer St. for the next sixteen years, and when the business moved in 1979, it wasn’t by choice. 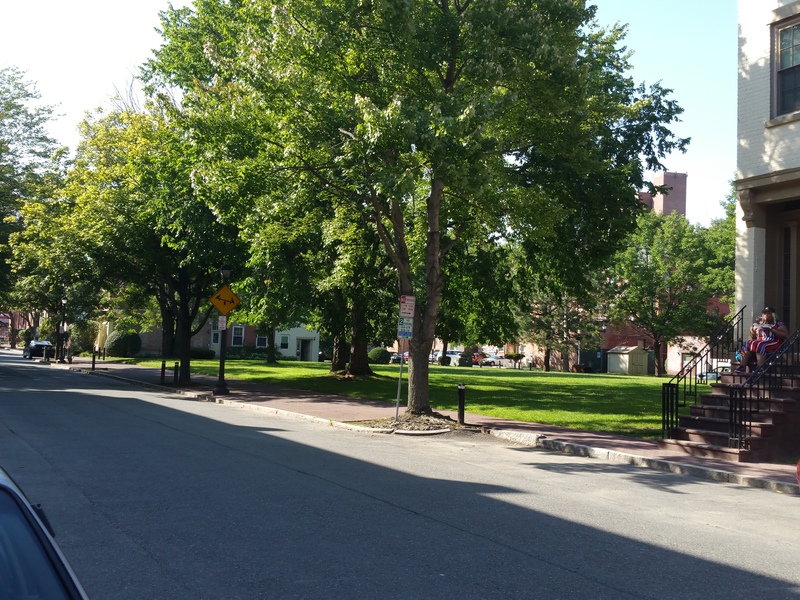 Herkimer St. was redeveloped as part of the city’s “South End II” urban renewal project—in the works (at least in the planning stage) since before the South Mall. The Ryan building was eventually demolished. The area where it stood is now green space. In December 1976, when Willie Ryan was notified of the City’s intent to acquire the Herkimer St. building, he wasn’t sure where to relocate. Initially, he hoped remain in Albany’s South End. But he worried about “depreciation in value.” Finding nothing suitable in downtown Albany, the search widened to the Central Avenue and Wolf Road areas. 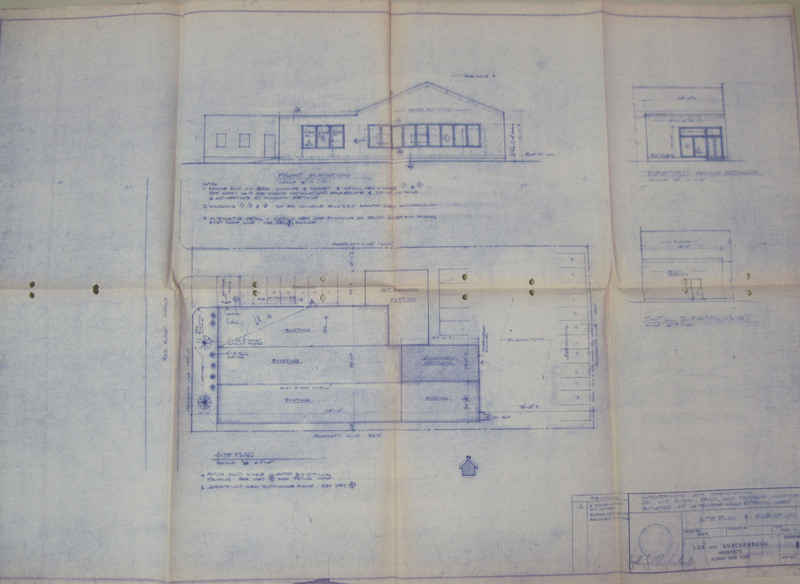 Eventually, the Ryans settled on purchasing and refurbishing the former offices and warehouse of construction firm McCreary Metals Inc., 114 Railroad Ave., off Fuller Rd. in Colonie. Plans for refurbishing 114 Railroad Ave. Albany County Hall of Records. Twice displaced by urban redevelopment, the family business is now run by Big Willie’s grandson, Mike Ryan. Ryan’s Farmers Market continues to sell local and imported produce, including wine grapes and juice, as it has for over a century.